Rue the day I hit fifty, its been a standstill since then, Argh! This was written for the Trifecta weekend challenge, which was to write exactly 33 words on FEAR and I made an acronym into a poem. I have struggled with many fears my whole life. 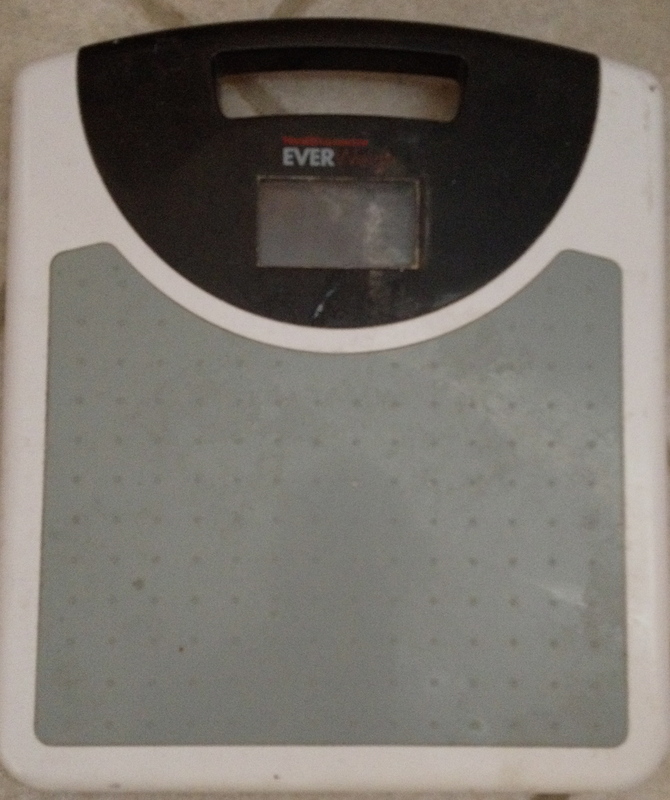 I have yet to overcome the fear of the scale. 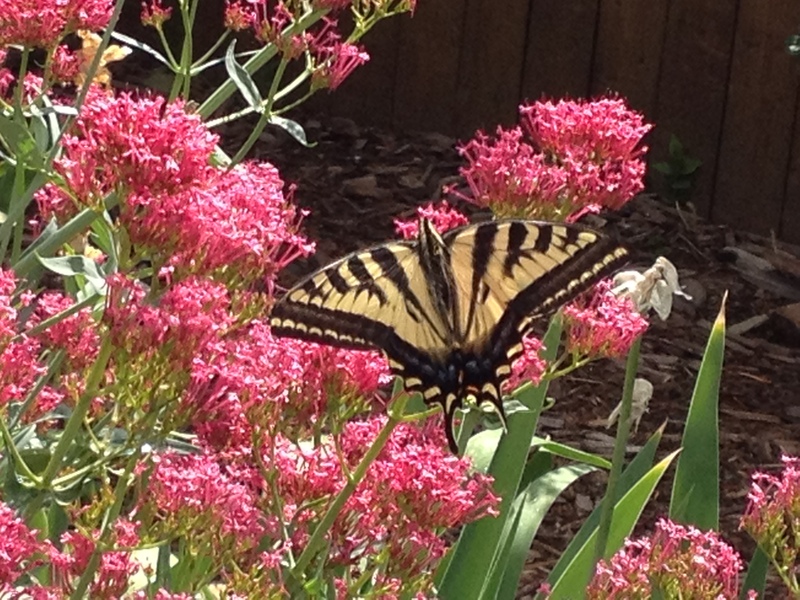 Click on the tricycle to direct you to the Trifecta Blog website. Virginia Views has inspired me as a cocooned writer. She posted to write down the first ten words that come to mind and three of the words would be the post title. I decided to use the words for my post. My theme was Summer. The end of the summer filled my head and heart this past weekend. I had ten glorious days away from work that were exhilarating. I felt like myself again. Virginia Views was so kind to nominate The Fearless Cooking Club for the Liebster Blog Award. 1) If you could go anywhere in the world and stay for a month, where would you choose to go? Australia because our son just moved there. Second choice would be Europe because I have never been there. 2) What is your hobby? 3) What was your childhood dream? To be a singer and a nurse. The nurse won out. 4) What was the best gift you ever received? A Christmas ornament, a fishing reel and a marriage proposal as one gift December 1985. 5) What is your favorite movie? Something’s Gotta Give, Wizard of Oz and Pride and Prejudice. If these movies are on TV I stop everything to watch them. 6) Who is the person who inspired you the most? I have been inspired by strong women: my three aunts – my father’s sisters and my nursing instructors. My aunts were all different- one never married but was the matriarch of the family; one married, had a family had a strong faith and I am her spitting image; and one had a professional career when it was rare for women to have one, married late in life and is the wise sage of the family. My nursing instructors showed me how to be a caring person, be a strong woman leader and to face your fears. 7) What is your favorite dessert? Pure dark chocolate with orange square. 8) What is your favorite quote? This quote ends all my email messages at work. Work email is where messages can be promoted to help a project move forward, but also be misinterpreted and cause rifts in team building. I pride myself in speaking the truth and keeping communication lines open. 9) What do you do for relaxation? 10) What is your favorite remembered scent/smell from childhood? 11) If you could be a character in a book, who would you choose to be? This is tough because I really enjoy biographies of real people. Probably Julia Child because her life was so interesting. She serve in WWII where she met her husband Paul, she traveled the world, she learned to cook when women didn’t become chefs, and she was a late bloomer. It’s been nearly one year since our oldest son moved out after finishing college and made my husband and I official empty nesters. I had been so used to running around organizing other people’s lives for the past 24 years that I discovered that I didn’t have to do that anymore. I heard someone say once that if you don’t know what to do, then don’t do anything. For me it has been a year of transitions and a lot of doing nothing. At work, there has been chaos, and I chose not to get involved. Staff are leaving, transferring, and retiring. New young staff are being hired. They are old enough to be my children. At home, my husband got a new job, our son announced he’d be moving to Australia by the end of the summer, and my daughter has a boyfriend. So as my nest has emptied, I have watched other women fill their nests. I have crossed paths with more pregnant women this year than I can ever remember. I have purchased six copies of my standard baby gift, Your Child’s Health, a great reference book for parents. I have also crossed paths with pregnant birds. 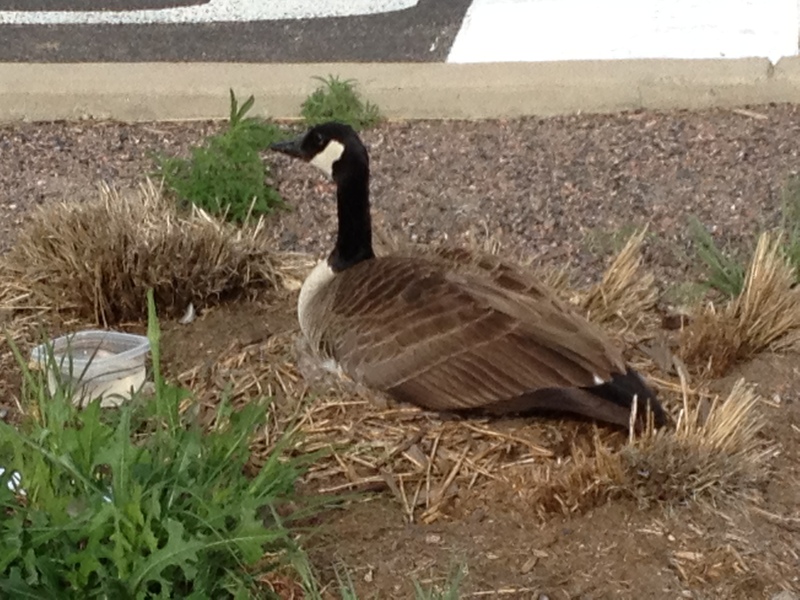 This Canadian goose was in a median in a university parking lot. The poor dad goose was siting on the eggs and wouldn’t leave. Someone brought him a bowl of water. I ran out and brought back some tortillas for him to eat. 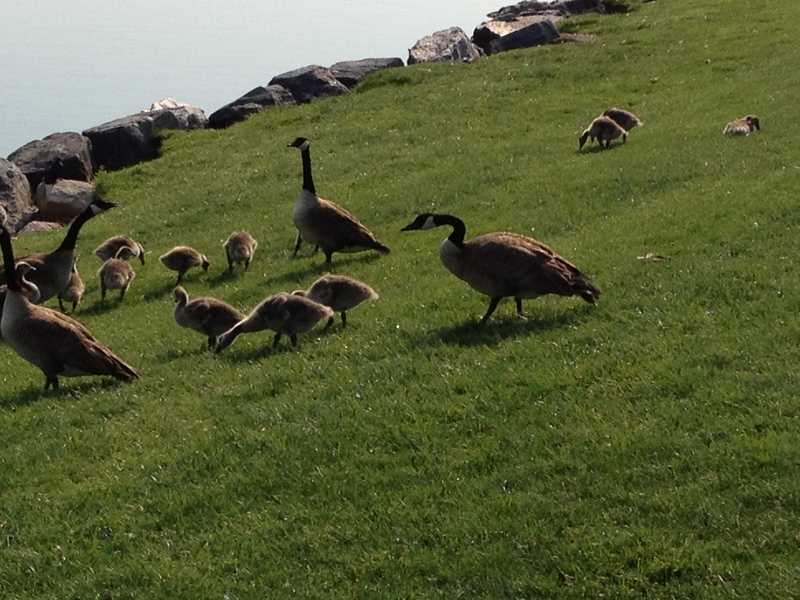 At our neighborhood park there have been five Canadian Geese families that have taken over the pond. 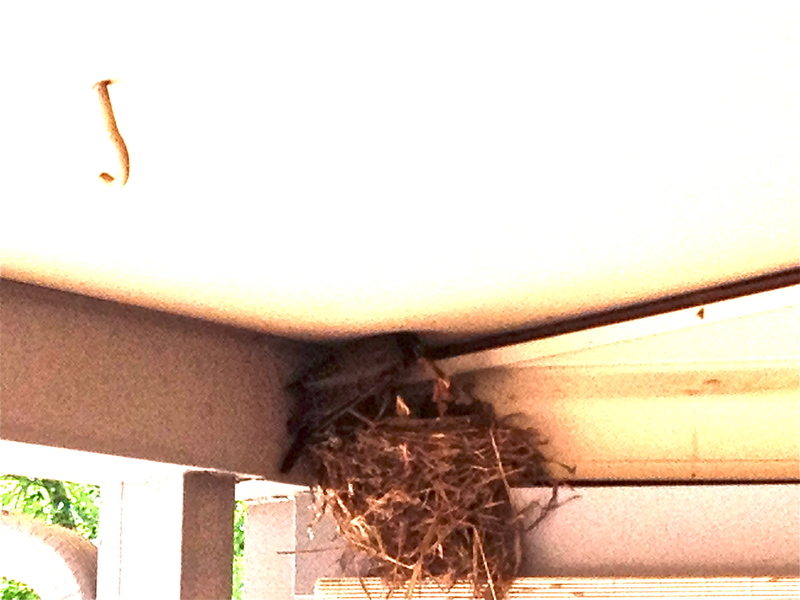 So as to not feel left out, on my own back porch, a robin family made a nest one weekend when we were out of town. 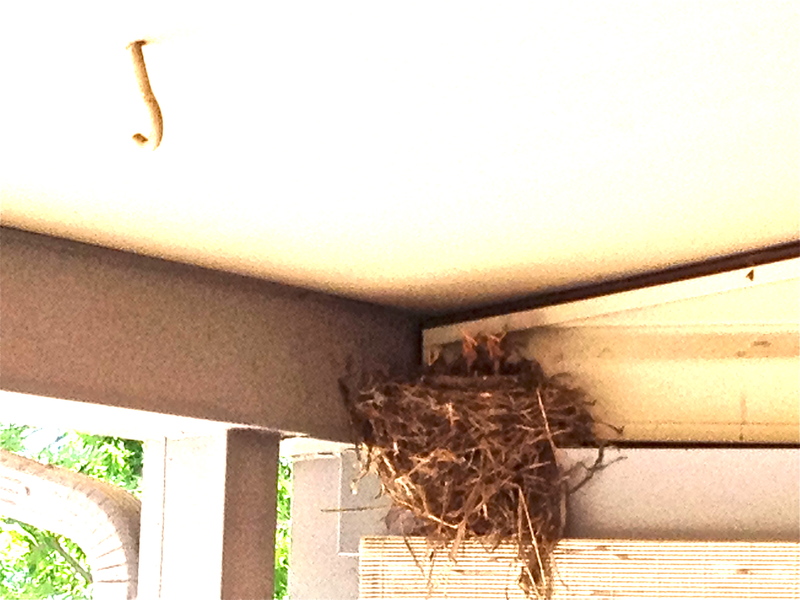 The baby robins stick their heads up and all we can see are little beaks and necks. Mama robin is very vigilant and busy hunting for food for the babies. Nature took over and filled my nest again. 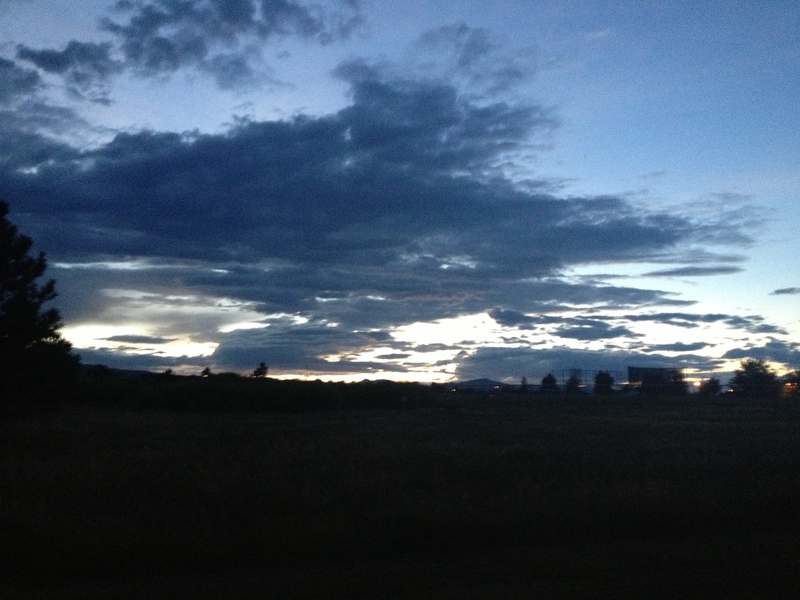 I’ve had a perfect view of it all watching life unfold and still not doing anything…waiting for my next move. April 15, 2012 marked the 100th anniversary of the sinking of the Titanic. 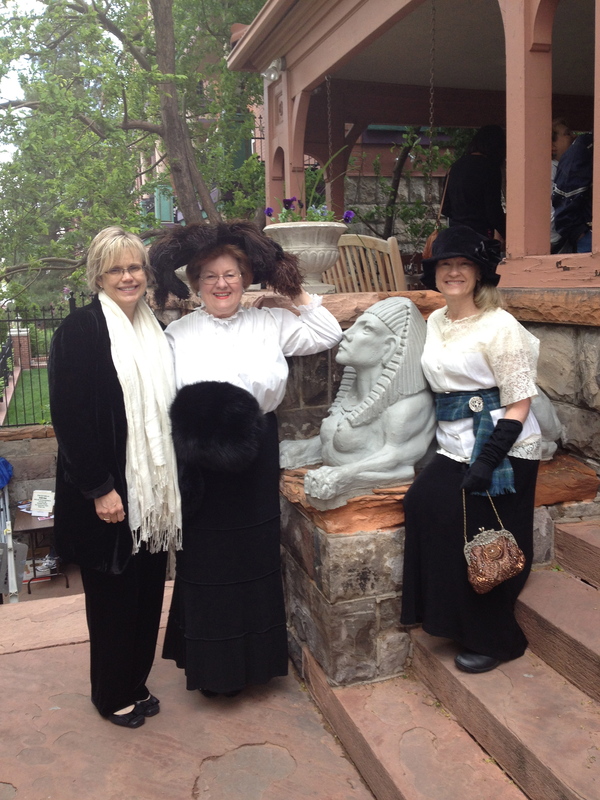 My partners in adventures, Joy and Char, accompanied me to the the tour of the Molly Brown House Museum to commemorate this historical day. 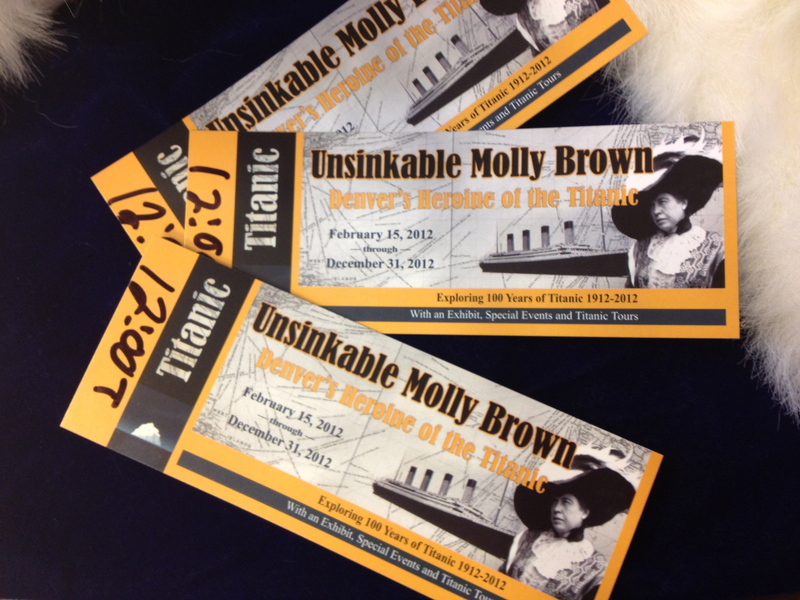 There is more to the “Unsinkable” Molly Brown than her passage on the ill-fated voyage. 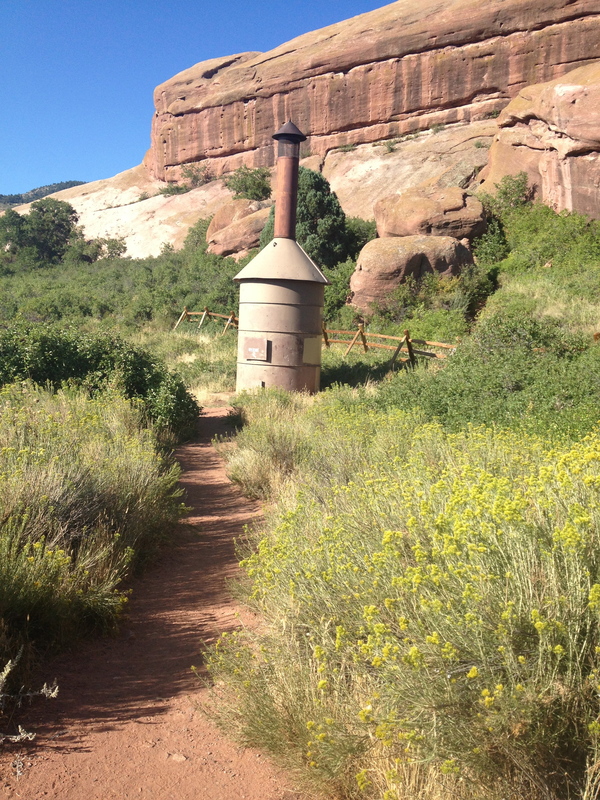 This landmark celebrates history of Colorado, Denver and life at the turn of the 20th century. 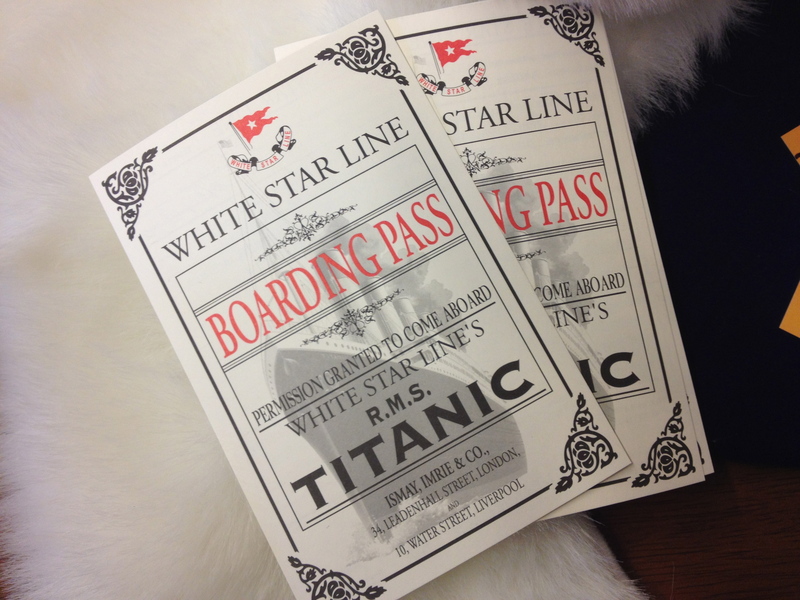 When we picked up our tickets for the tour, we also received boarding passes as a passenger on the Titanic. On the flip side of the ticket was the biography of a passenger and the class of ticket. Our excellent tour guide, Betsy, provided us with the history of The Brown family and the house furnishings. 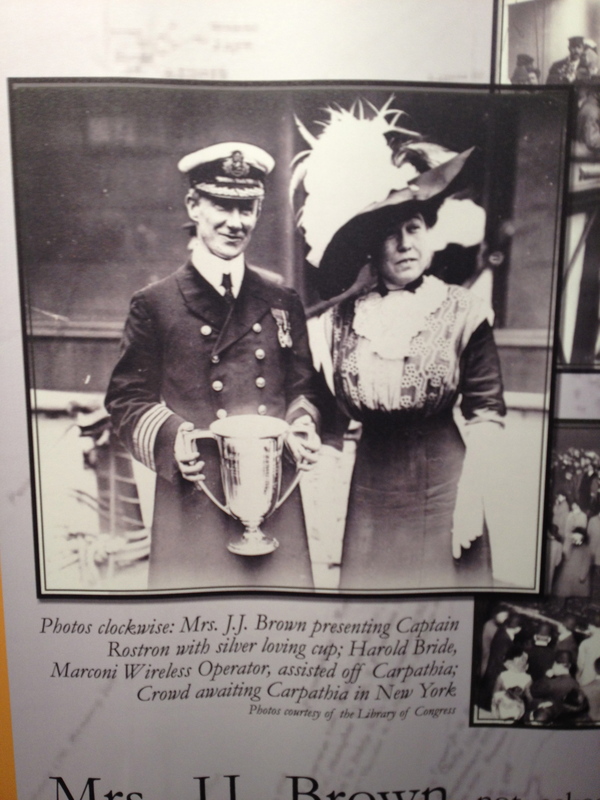 We also had a perspective as a crew member, 1st class, 2nd class and 3rd class passengers and their accommodations on the Titanic. 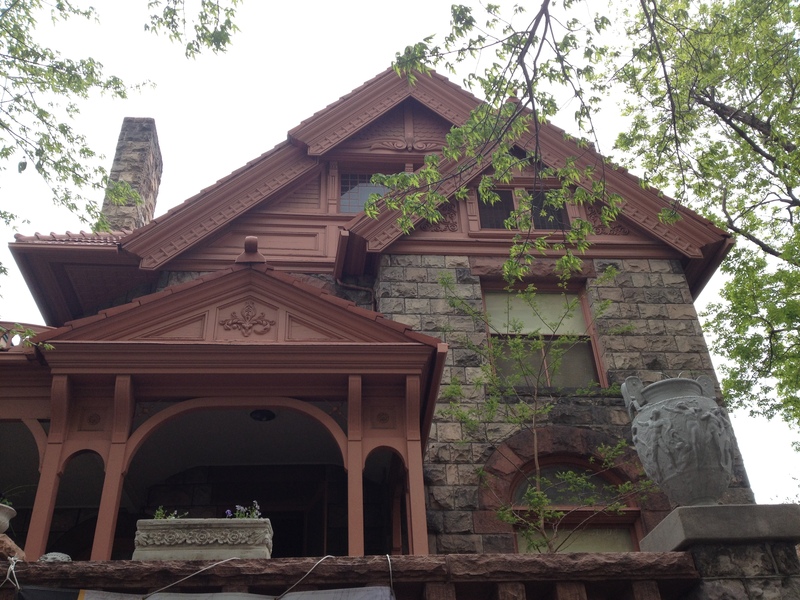 Molly Brown died in 1932 and the house was sold at public auction. It was a rooming house for many years and was about to be demolished when in 1970 the Historic Denver group purchased and preserved the house. 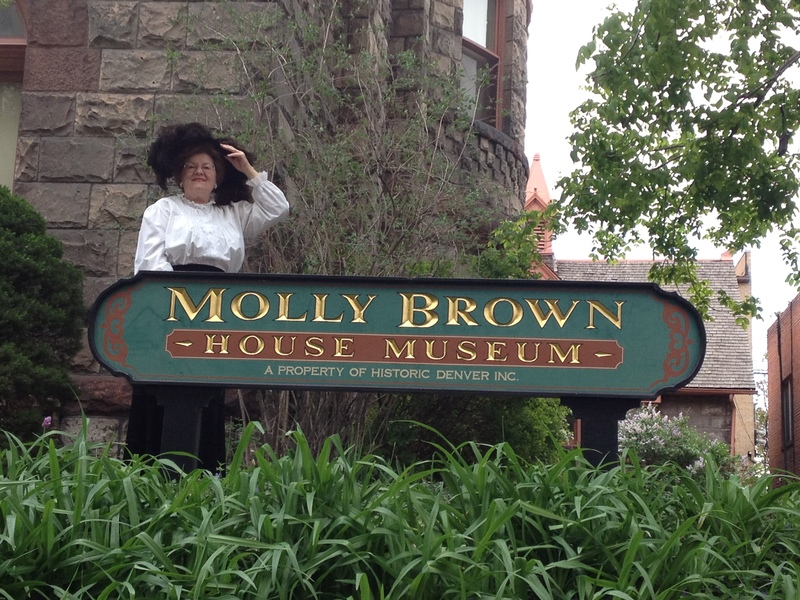 To read more about the Molly Brown House and Museum check out the hyperlink. Film photography was not allowed inside the home. At the end of our tour was a mini museum about the Titanic. We also discovered if the passenger’s ticket we held survived the voyage. My passenger survived; 706 survived, 1517 perished. Our tour guide, Betsy remarked how Margaret “Molly” Brown, spent her remaining years advocating to get laws changed on educating travelers on safety and emergency preparedness. So thank Molly Brown the next time you board an airplane or a cruise ship and the attendants are informing you about the safety procedures for travel. I love history. You remember the past and appreciate the present. I was dubbed Ethel to my friend “Lucy”, several years ago. She would attach herself to my hip and drag me on crazy adventures when we would volunteer once a week every year for a charitable event. Vivian Vance, who portrayed Ethel Mertz in the I Love Lucy television series of the 1950s and 60s, referred to herself as the “best second banana in the business”. I never thought too much about the title until one night I was watching a TV Land documentary on Laverne and Shirley – the 70’s female comedy duo. The comparison of their show to I Love Lucy was made. Penny Marshall had lots of family connections with the show’s production (her brother was the director). And because of that pressure Cindy Williams exclaimed “I don’t want to be Ethel”. Lucy was the star and Ethel was the nobody. Vivian Vance who played Ethel won one Emmy in her career as Best Supporting Actress; of course Lucille Ball won five in the course of hers. Lucy was always getting the sunlight and Ethel was adding color and depth to her star. It made me think that yes, I am an Ethel. I support my family, my patients, my friends, my co-workers – for them to shine. But you know, where would Lucy have been without Ethel? Who would’ve been her sidekick, her steady stead. The role of Ethel is rare these days because everybody wants to be Lucy. On the Laverne and Shirley show they fought constantly about the number of lines written for each character and trying to keep everything completely balanced and fair. It was chaotic on the show with the writers and crew miserable. The world is full of ego maniacs grabbing the spotlight. Everybody’s got to have their five minutes of fame, be it on You Tube or Facebook. You’re nobody until 50 million people have seen you through the internet. Oh I’ll admit my ego was the size of the Grand Canyon when I was full of myself as a young girl with hormones and energy. It was fun to be crazy with my girlfriends and see who could be the most outrageous with a comment and get everybody laughing. People thought I was funny. But I would go “over the top” sometimes and then nobody laughed. It happens when you go for the next attention grabber and you don’t know when to stop or change the subject. 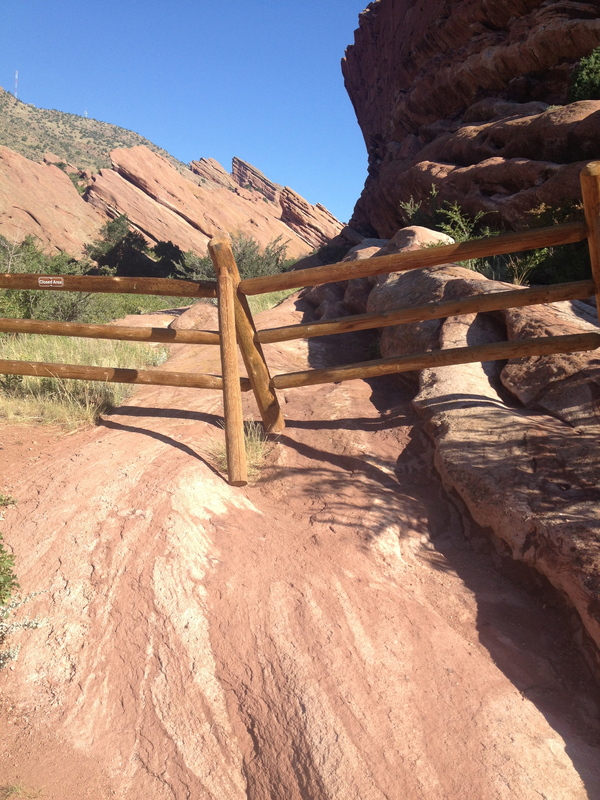 Usually someone gets hurt at that point and people just walk away. There were plenty of comedy teams in the past, not so much anymore. Most comedians go solo to have the spotlight to themselves. The funny half of the duo says her lines and the straight half of the duo responds. I liken it to tennis. A good player lobs the ball back to the server and keeps it within the lines for the banter to continue. And both must be sharp to pick up the underlying sarcasm and subtleties. Second bananas are getting their time in the spotlight. Look at Sarah Palin – she’s carried her ride into 2011 since the 2008 election. So I’ve decided that Ethel needs her own identity and not wait for Lucy to define her. Second bananas can have a life outside of the stars they support and be funny. So break out Ethel find your own mojo! But most of the time life is messy and the egos can’t always be balanced. So somebody’s gotta be Lucy and somebody’s gotta be Ethel. 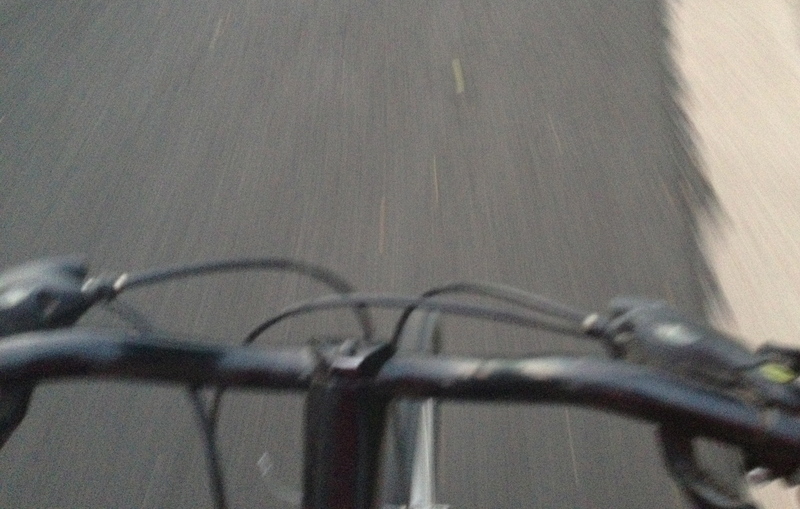 I haven’t blogged a word in two weeks. I’m sure many of you are aghast. How could I? I signed up for the Postaweek 2011 challenge. The gauntlet thrown down by WordPress to keep the fires of blogging going. I was true to my word. I posted faithfully for two and one half months. At one time, I even had three blog writings going at once. I was editing daily and readying them for posting when each week rolled around. Then the remodeling took over my life. We had contractors working on our basement since mid-January. They just finished. I tried my best to protect the furniture and cushions with blankets and plastic. But the film that flies from wallboard finishing is like glue dust. It lands and sticks and doesn’t let go. I did some traveling this past month and got away from the house. I was free from responsibilities and the debacle. Yippee!! I returned to the house-mess five days ago. Me, the dog, and the dust. I moved furniture, cleaned, washed, dusted, arranged, pounded, folded, sorted, and dried. My head was sifting through ideas of decorating. There was little time for anything else. I feel no guilt, no shame; only relief. The mind is a cluttered land of information. Multi-tasking is overrated. Newsweek’s front cover last month revealed that we as a society can’t make decisions because of too much information. Technology has allowed us to discover a world of information yet we can’t decide what kind of jeans to buy. I made a conscious decision. My life was overwhelming and I couldn’t eek out a blog. I went on vacation, I read an entire book, and I cleaned my house. I returned to work today, well rested, and ready to write again. Thoreau and Oliver, poets and writers, went to the woods for inspiration. Do we now go to our Smartphones, laptops, and blogging websites for inspiration? I choose to re-boot away from it all.